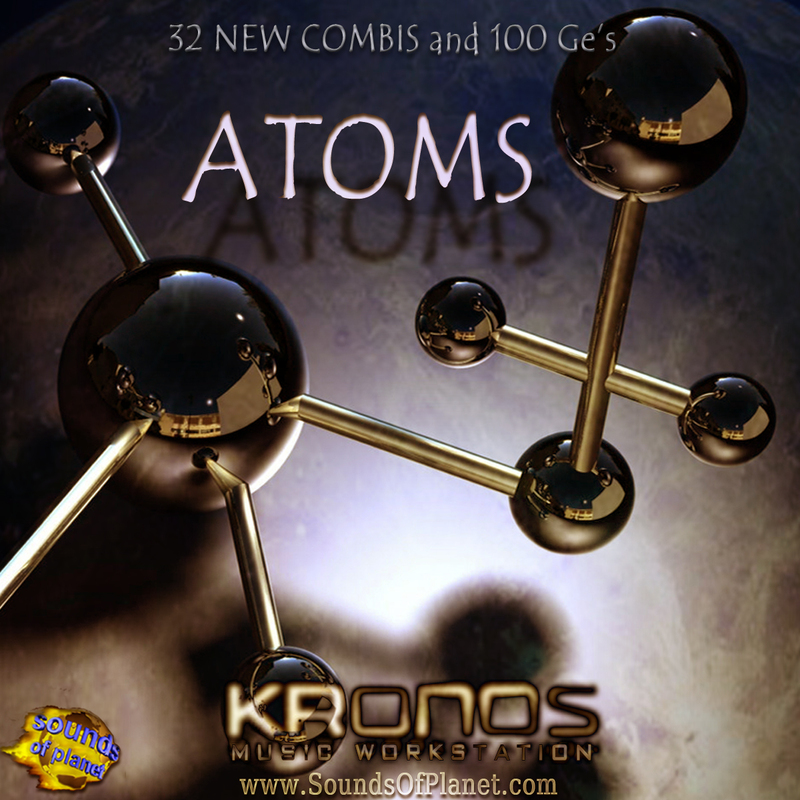 Atoms – it is already the third set of combinations released by Sounds of Planet, not counting the free sound pack dedicated to the programs from Protein No.1 set. New Atoms combinations are perfect complementation of factory installed combis as well as other sets released by Sounds of Planet before: ”Neo-Endorphin” and “Electronic-Natural”, sold also together as combined pack under common name “ENNE”. New soundset takes advantage of huge sound potential of Kronos and additional new Ge’s. There are 100 of them in Atoms pack. 64 Ge’s come from previous sets, whereas I have added 36 completely new patterns – on which new combinations are based upon in the first place. Wide range of styles: Rock, Pop ,Funk, Electronica, Dance, Trance, Ambient or World climates will provide many hours of professional work as well as great fun with the instrument. ATOMS is an explosion of new musical propositions and inspirations for You. If you are the owner of my previous combinations: ”Neo-Endorphin”, “Electronic- Natural” or “ENNE”, don’t worry – just load the Ge’s patterns to bank USER C. All packets from Sounds of Planet will work correctly.